We only tow at the customers' request, no private lots and no impounding. When it comes to towing , nobody can do it better! In times like this, you need a quick, professional and reliable tow truck service. You won't have to look any further than the superior services in the greater Cincinnati area. We all know if you are giving us a call you're having a horrible day, whether you are in an accident, have a flat tire or a total vehicle breakdown. We are here to help make your day better and ease the stress you may be having. With one call, we can meet all of your needs as quickly as possible while being safe, respectful and always professional. You will find that our service is extremely easy to deal with and will also be easy on your wallet. When you call us, we understand all of your vehicle needs. You just need to take a deep breath, relax and call 513-466-0086 or click the number at the top of the page for immediate assistance and rest assure that we are on our way to solving all of your automotive problems. If you don't have an emergency please fill out the Instant Free Quote form and we will be happy to contact you with further information on all of your automotive needs. ​Do you wonder, what towing near me should I call? You have to think Cincinnati Towing, We understand the industry has some few bad bananas that ruin it for the rest of the industry. But we are different at our company, we are committed to serving the city of Cincinnati. We take pride in being excellent at transporting vehicles with the proper equipment with top-notch employees. This combination gives us the advantage, plus this kind of service will change your mind on what to expect from our industry and how it should work. We can take care of all services that others offer but we strive to be the best in the industry. We know that the flatbed truck is the highest and biggest mover. It is the easiest, fastest and convenient way to haul most vehicles. But we do receive calls for many other services that we are prepared and ready to take care of. We always go above and beyond every day to provide our customers excellent service and we are happy to do it. Our tow trucks are prepared with all necessary safety and mechanical equipment to provide you the help you need in your time of need. We are there for rain or shine offering roadside assistance when needed. Our company wants you to feel safe and not helpless by any means because we are just a phone call or click away. Cincinnati Towing provides the best wrecker service in the area. Lock outs: We provide quick expert help with all call lock outs. Be safe with us and call us today. Flat tire: If you have a flat tire and sitting on the side of the road, trust in us and call for help, you will be happy you did. Out of gas: Did you run out of gas on the way to the ballpark? Our services can deliver fast and quick to get you back on the road. Dead Battery: Is your battery dead? 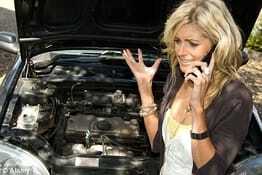 We can provide your car with the proper jump or replace your battery. Junk Car Removal: If you have a car that needs to be donated or scrapped, give us a call to remove the unwanted vehicle. Emergency road service: Give us a call for all emergency roadside services, we can be there quick to help with all of your car issues. Motorcycle: We know that your baby is special and we can haul it with love an care!! 24-Hour Service: We also take care of 24-hour emergency calls. This will allow us to be there no matter what time of the day or night. ​Affordable Pricing - Our goal is to provide the most competitive pricing in the Cincy area. We want to provide pricing that won't cause you angst The stress of your situation doesn't need to be worse by high priced service. We work hard and want to provide the best tow truck service with affordable pricing for all services. We strive to have affordable pricing in the area. We aren't the cheapest but we are here to be affordable and to eliminate the stress from your day. We work hard and we are happy to serve our city with all the professionalism we have to offer. We love what we do and we will do it for less. That's what we do because we love what we do with affordable pricing, quick response, and professional drivers. Best Service - We have the honor to present the most respectful, skilled and talented employees of any towage service in the industry. This begins with our team that works in the office that can answer any of your questions or concerns you may have. They can direct your call to one of our drivers who can pick you up and get your vehicle on it's way to the destination you require. Please note, our drivers will get you there as fast as possible with no major traffic law violations in our wonderful city. Our service will start with a smile from start to finish and guaranteeing you the best tow truck service in town. Reason to call when in an accident - If you are in an accident and need a towing company you need stop and remember to do the following. You need to first check yourself and all others that were involved in the accident. You will need to be able to report any medical or life-threatening issues. Then you need to call 911 to report the accident and request all emergency vehicles to arrive and to assist with any and all medical needs that need immediate attention. The next step will be for you to call Cincinnati Towing if your car is inoperable. This is a very important step because the police will call any company and if you are lucky they will call us. But you want to make sure you call your own company of your choice and this will allow you to make decisions about where and when you have access to your vehicle. If the police make the call to the tow truck company, they can make all of the decision to where they take your car and when you can access, even though you own the car. The reason for this is because you are not the customer, the police become the customer for the responding company. This will cause a privilege and information problem for you when you go to retrieve your belongings from inside the vehicle, or maybe pictures you need for an insurance claim. If the police called for the tow, it doesn't matter that it is your vehicle. So we strongly recommend that you call your own company. It will make a bad situation less stressful and things will proceed with little hassle as possible. Please give us a call at 513-466-0086, you will be happy you did.